To learn more about us, you're in the right place. Read to learn how we became tea master in one of Japan's oldest traditions. Follow tea ceremony Kyūgetsu on facebook for more updates on recent activities and tea ceremony events. Discover Tyas Sōsen's exclusive organic and natural Japanese tea selection at The Tea Crane. Follow Tyas Sōsen's activities and daily engagement with Japanese tea and tea ceremony on Instagram. Tyas Sōsen (宗筅) and Stephen Sōshun (宗駿) are both certified as tea master in the Way of Tea as taught by the Enshū school. Sōsen is a Qualified Instructor, and Sōshun is an Assistant Grand Master. They both are responsible for your authentic experience of this tradition. Learn more about us below. As a Japanology graduate of Belgium’s Leuven University, Tyas Sōsen relocated to Japan in order to pursue post-graduate studies in the literature, history and culture of 17th-century Japan at Kansai University, Osaka, from which he received a Master of Arts degree. 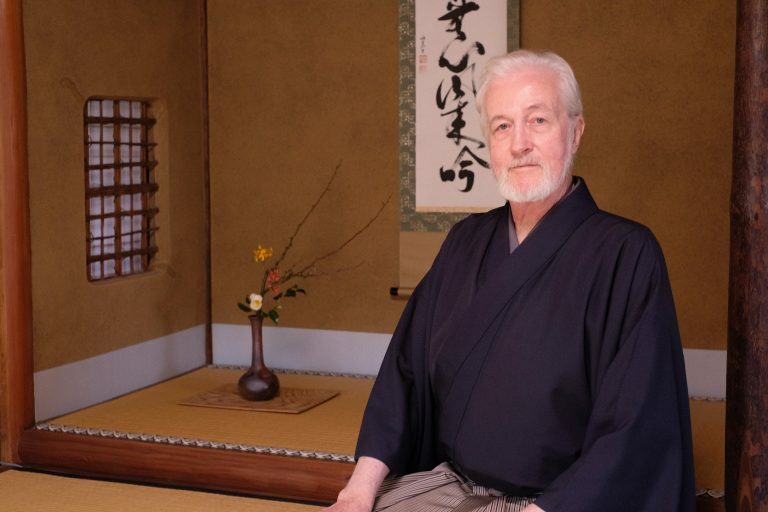 In order to deepen his understanding of Japan’s complex cultural traditions, he has trained in kendō, karate, and jōdō, and studied both nō performance-practice and the rite-of-tea (sadō). By now a fully-qualified instructor in the Way of Tea as taught by the (warrior-style) Enshū school － thereby having become the youngest foreigner ever to have achieved this rank within the school －Sōsen instructs both Japanese and foreign pupils in ‘tea-ceremony’. He also conducts demonstrations, lectures and workshops concerning the tradition, philosophy and aesthetics of the-rite-of-tea. 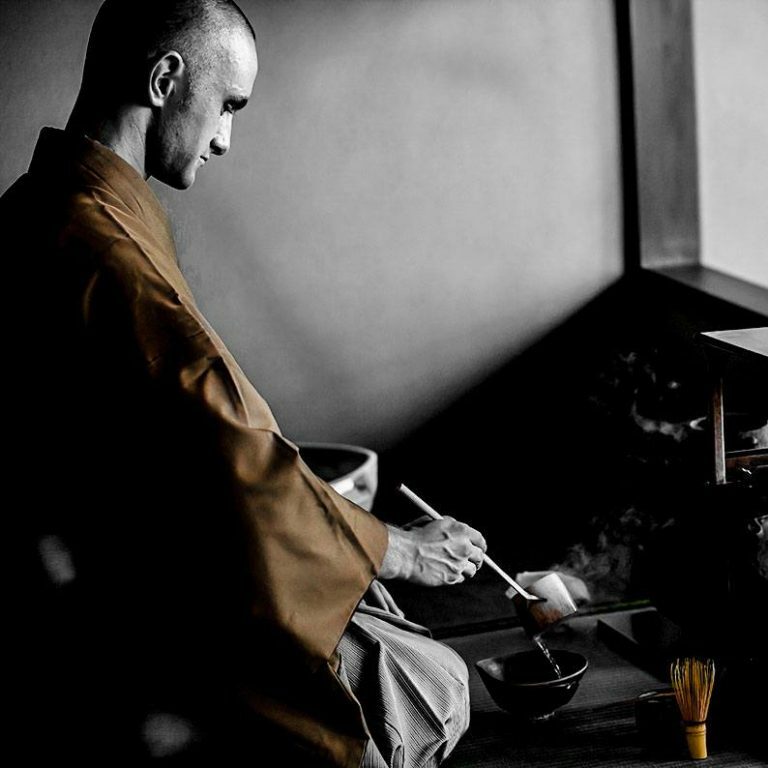 Sōsen is also the first Belgian to have become certified as a Nihoncha (Japanese tea) Instructor. Having thus become an expert in all aspects of Japanese tea and tea-culture, he, at The Tea Crane, offers his personal selection of organically-produced Japanese teas. For half his life, Stephen Sōshun has trained in, practiced, and taught, the rite of Tea, while publishing and lecturing extensively on its history, values, methodology, and contemporary relevance. Now an official Junior Assistant Grand Master of this school of Tea-praxis (and the first non-Japanese citizen ever to attain this rank), not only has he won numerous admirers among Japan’s Tea-aficionados, regardless of school-of-praxis; he has also successfully implanted a similar passion for this discipline in the hearts of numerous foreign exchange-students – as one of whom Sōsen himself a decade ago embarked upon becoming likewise an adept.